A man who killed his hamster by cooking it in a microwave has been jailed for nine weeks. 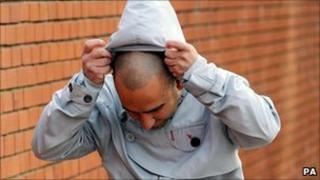 Anthony Parker, 29, of Holyrood Way, Hartlepool, admitted causing unnecessary suffering to a Syrian hamster in February. He was also banned from keeping animals for five years by Hartlepool magistrates. The court heard Parker put the animal, called Suzie, in the microwave after a drunken row with his girlfriend. Neil Taylor, prosecuting, said the animal had been killed in a cruel way. He said: "It was clear the hamster died in agony." The animal's lips were burned and its eyes were opaque. A post-mortem examination showed Suzie had been exposed to microwave radiation. Parker had initially denied the offence because he made a confession to police when he was drunk. He later said he had no recollection of events. But he changed his plea before Wednesday's hearing. The court heard he told officers he had not meant to kill Suzie. Adrian Morris, defending, said his client had previous convictions for drink-driving and a public order offence which happened six years ago. But there was nothing on his record linked to cruelty. He said: "He effectively comes before this court a man of good character." Suzie's death would have been rapid and the "cruelty and suffering were not prolonged", he said. But Mr Taylor said: "This is a man so drunk he puts a hamster into a microwave and kills it."